I wish I could tell you that I was a huge football fan but I’m not:(. But I do love decorating for football themed parties and enjoying the hoopla that comes with it. 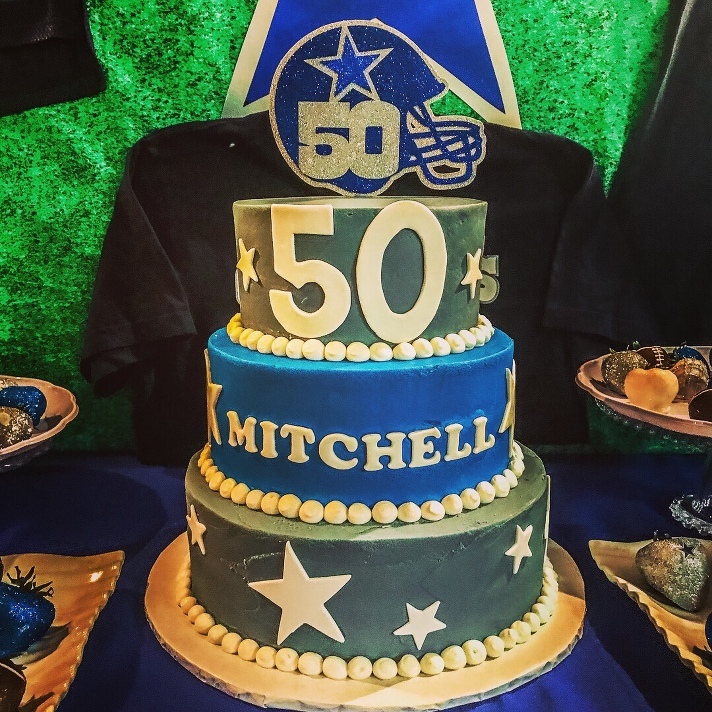 I was called on to create a Dallas Cowboys themed 50th birthday party for an Ultimate Fan. He is loyal to the Dallas Cowboys, win or lose. I used team themed plates and added them to the place setting atop silver chargers. 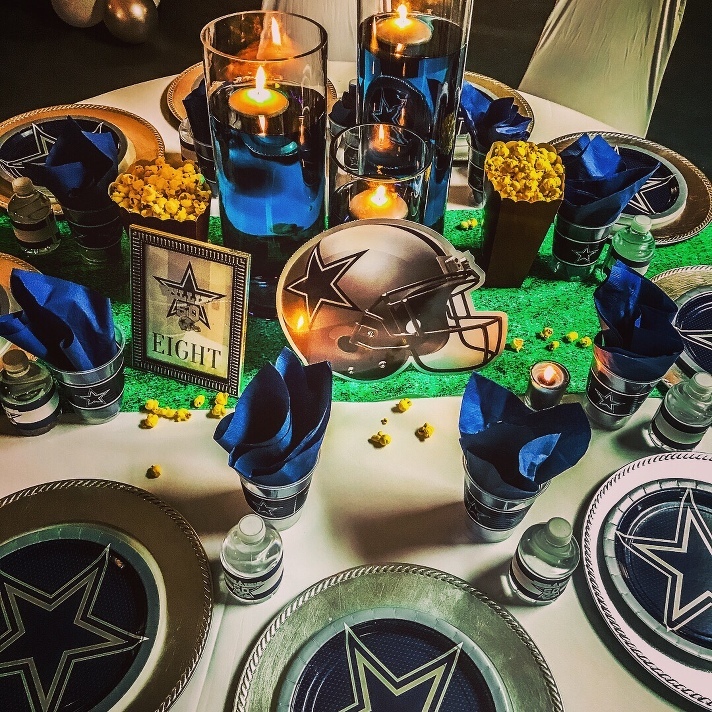 And, to add a pop of color and fun, I placed “Dallas Cowboys Blue” napkins in the cups. I tried to incorporate any other elements that I could think about that involved football such as: popcorn, turf and helmets. 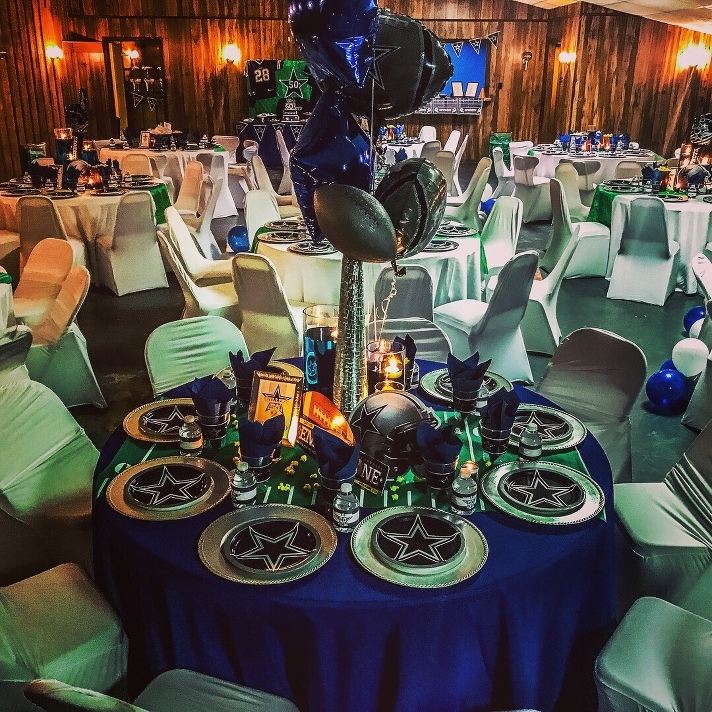 For the guest of honor, I dressed his table in “Dallas Cowboys Blue” and created our version of a “Super Bowl Trophy” as the main focus on the table. Stick to the colors and anything associated with the team of your choice.